Defining a test strategy is critical to reducing cost and maximizing the efficiency of your product development and manufacturing organizations. Gain best practices from the Fundamentals of Building a Test System guides to understand the recommended process for building test systems from start to finish. Ensure you have the fundamentals to build a smarter test system that is built to address your needs today and in the future. Switching can be a cost-effective and efficient option for expanding the channel count of your instrumentation, but it is not always the best option. Learn about the four different switching architectures and determine the best strategy to meet the needs of your test system. When adding switching to an automated test system, you have three main options: design and build a custom switching network in-house, use a stand-alone box controlled via GPIB or Ethernet, or use a modular platform with one or more instruments such as a digital multimeter (DMM). Switching is almost exclusively used alongside other instruments, so tight integration with those instruments is often a necessity. An off-the-shelf, modular approach can meet these integration challenges inherent in most common test systems. 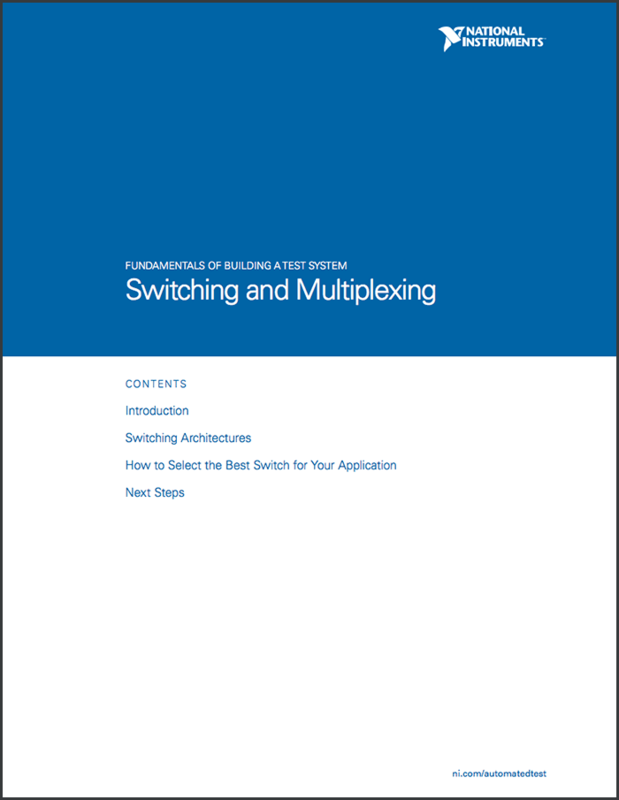 This guide will outline best practices for integrated switching and multiplexing into your test system.